Bad Credit? Don’t Worry, Yonkers Automall Has You Covered! If you need a vehicle and your credit is less than acceptable, you may find many dealers will turn you down for financing. If you come to Yonkers Automall you will be treated with the same respect as a customer with stellar credit. We understand people develop poor credit for a lot of different reasons, and we want to help you restore your credit with financing from us! We treat our customers with courtesy and respect when they come to Yonkers Automall. We will provide you hassle-free service and can tailor financing for all kinds of situations. We have lots of experience from helping thousands of customers who need a pre-owned vehicle and have challenging credit issues. Yonkers Automall has a large network of lenders who work with us to find financing for people with all levels of credit. Good, bad, or no credit shouldn’t be a barrier to getting a fine pre-owned car from Yonkers Automall. We can help customers in Yonkers, Bronx, Westchester County, Mt. Vernon, White Plains, and the greater area. Our goal at Yonkers Automall is 100 percent customer satisfaction from doing business with us. 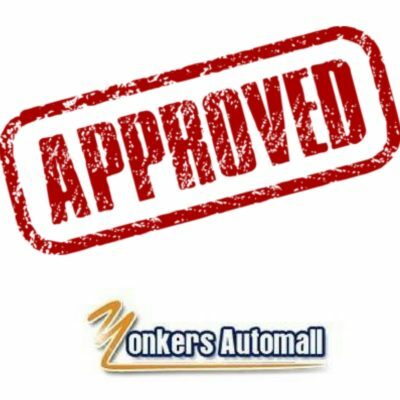 If you are having credit issues and can’t obtain automobile financing, come to Yonkers Automall and talk with us. We will work to get you the financing you need. We are conveniently located at 1716 Central Park Avenue in Yonkers. Stop by and enjoy our no hassle buying experience. All credit applications are accepted!